Undeniably one of the most breathtaking destinations on the planet, Nepal is a dream come true for nature and adventure lovers. The country offers some of the most exciting adrenaline pumping activities as well as some of the most unique tours. Whether you’re into serene Himalayan settings and tranquil lakes or gushing rapids and endless adventures, Nepal always has an excursion which feels like it has been specially made for you. In this article Bookmundi examines the top six cultural tours and small excursions in Nepal. Enjoy! Bandipur was originally a part of the Magar kingdom, but was flooded by Newari traders after Prithvi Narayan Shah’s conquests in the valley. The town became an important stop on the India – Tibet route until it was finally made redundant by the Prithvi Highway in the 1960s. This actually came as a blessing in disguise as the highway transformed Bandipur into a living and breathing museum that presents a perfectly preserved village and the Newari culture in all its beauty. Explore those old-world lanes and you come across traditional Newari houses and breathe in its magical atmosphere. Alike Nargakot Bandipur also presents you with amazing views of the Himalayan Range, where mountains to be spotted up closely includes: Annapurna Mountains, Mt. Machhapuchhre, Mt. Manaslu and other majestic mountains. It really feels as if time comes to a halt once you enter Bandipur. Other things to see include holy caves, ancient temples, shrines and Newari architecture. Chitwan National Park one of the top tourist destinations in Nepal, gained popularity for offering the best wildlife-viewing opportunities in Asia. This World Heritage listed site covers almost 932 sq. km. of forests, grasslands and marshlands and is home to some of the most exotic flora and fauna in Nepal. It is among the last remaining havens for the Bengal tiger, and one can also find the rare single-horned Asiatic rhinos here. Other animals seen here include sloth bears, leopards, barking deer, langur, wild dog, rhesus monkey, wild elephants and 544 species of birds. The months of March and December are perfect bird watching. 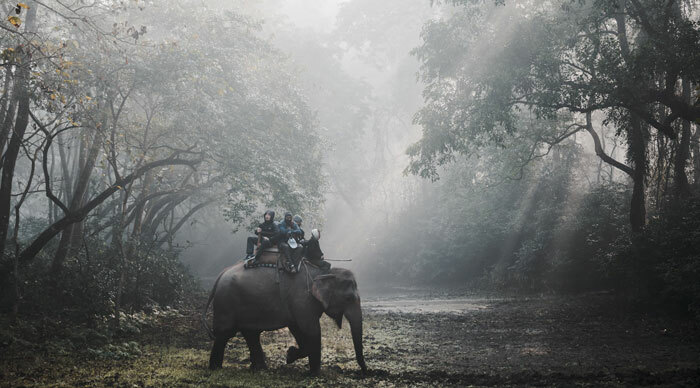 Bookmundi recommends a 2 – 3 day trip to the Chitwan National Jungle. The ideal option is to stay in one of the luxury lodges located in Sauraha, a spot that keeps you away from the crowds and still puts you at the outer edge of the park. Located at a height of 7200 feet, Nagarkot wouldn’t be too ambitious to call Mount Everest its next door neighbor. Nagarkot is one of the the best places in Nepal to watch the Himalayan ranges in all their beauty from the comforts of your hotel balconies. 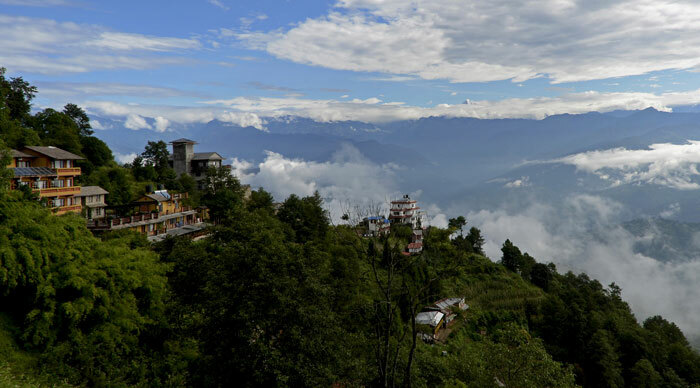 Nagarkot lies at a distance of 32 kms from Kathmandu and offers some of the most breathtaking views – from the Annapurna ranges in the west to the majestic Everest in the east. And if you do manage to tear your eyes away from that exotic scenery, Nagarkot also presents spectacular sunrises and sunset views. 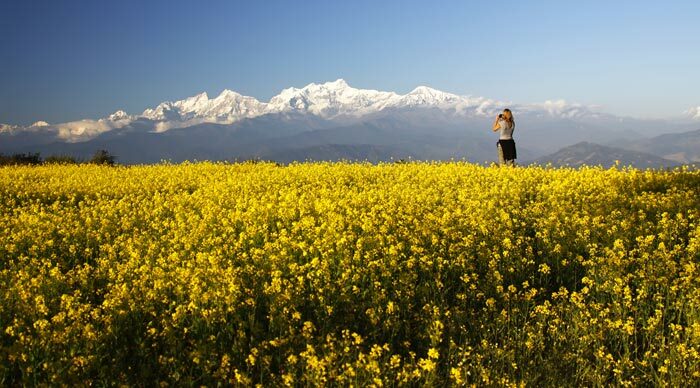 The best time to visit Nagarkot is between the months of October to March. Bardia National Parkthe largest national park in Terai, covers an area of more than 968 sq. km. The park was established for the conservation of tigers and their habitats and was expanded into a national park in the year 1988. 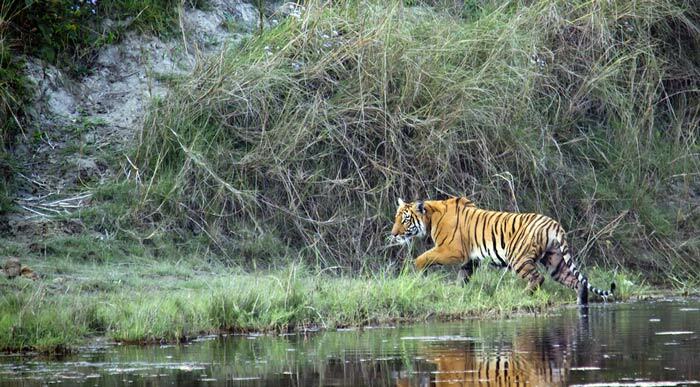 Characterized by vast open grasslands, dense sal forests and riverine forest areas, Bardia is another attractive destination for tiger sightings in the country. Apart from the elusive tiger, other animals found here include deer, rhinos, leopards, elephants and more than 250 bird species. Bardia is exactly what Chitwan was a few decades ago, before it was commercialized for tourism. It gives you a very remote and authentic feel, keeps you away from the crowds and still offers you the very best of nature and wildlife. Gangetic dolphins and marsh mugger crocodiles can also be spotted during those rafting trips in the Geruwa River. Bardia National Park is hard to reach, but totally worth the extra effort. Bookmundi recommends a 4 days trip to the park for the best holiday experience, including a little time to also relax while there. 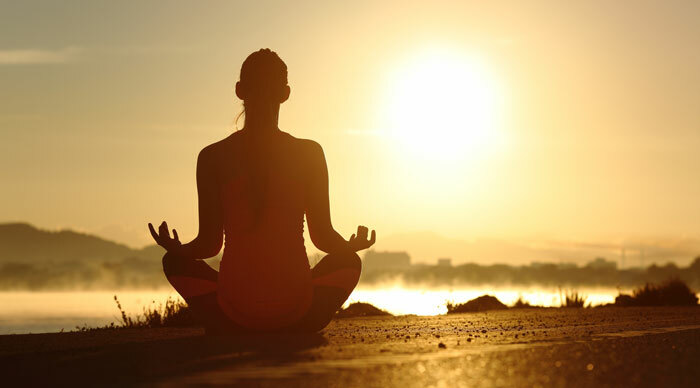 A yoga retreat not only brings you closer to your inner soul, but also offers a chance to immerse yourself into the beautiful world of yoga, which inspires you towards healthy living and better looks. There are a number of yoga retreats around Kathmandu that are best enjoyed via 2 – 3 day tours. These retreats traditionally include morning and afternoon yoga sessions and let you detox your body with healthy, delicious food and breathtaking natural beauty. When you’re not learning about the art of yoga, either through practice or in theory, spend your time reading a book in those immaculate gardens or find inner peace through guided meditation sessions. Pure air, serene surrounding, friendly teachings, luxury accommodations and like-minded companions ensure that no trip to a yoga retreat in Kathmandu is boring, bland or uneventful. Lumbini a popular Buddhist pilgrimage site, has attracted travelers from all over the world due to the fact that Siddhartha Gautama, better known as Lord Buddha, was born here in the year 623 BC. Among the most popular pilgrims was the great Indian emperor Ashoka, who erected one of his pillars here. 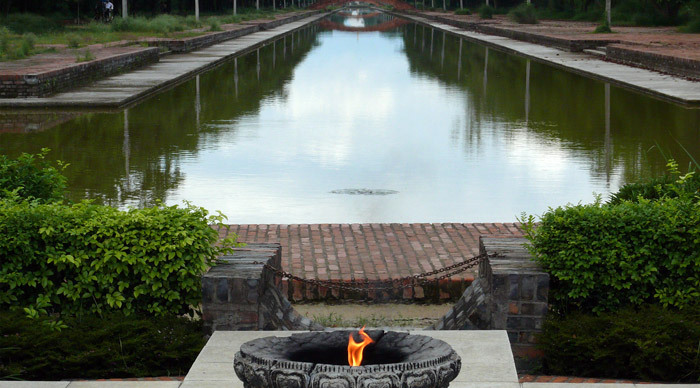 The most important temple at Lumbini is the Maya Devi Temple, which enshrines the site of Lord Buddha’s birth. The current temple stands on the very site of earlier stupas and temples, including the Ashoka stupa. To the south of the temple is the sacred pool, the place where Maya Devi took a bath before giving birth to Lord Buddha. The second most popular thing to see in Lumbini is the Ashoka Pillar. The pillar is protected by a small fence and is decorated by banners and prayer flags. Travelers tend to rush through this beautiful and peaceful site, but Bookmundi recommends you to spend three days here, exploring its monasteries, soaking up the peaceful atmosphere and capturing its serene vistas in your minds. Enchanting Nepal hosts the roof of the world and shares its landscapes with 8 of the tallest peaks on the planet, including the great Mount Everest. A must-visit destination for those searching for peace and spirituality as well as those searching for excitement and adventure, Nepal never ceases to amaze. A trip to Nepal is always incredible and exciting, and you wouldn’t have it any other way considering you’re visiting a country that is home to the fabled Shangri-La and is also birthplace of Lord Buddha.